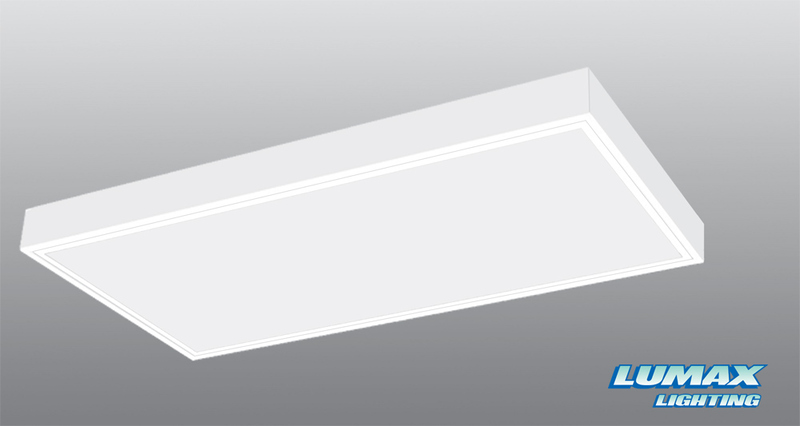 Clean architectural styling in a flexible high performance LED fixture. High quality finish for commercial and institutional surface-mount applications. Die-formed code gauge cold rolled steel housing. Corners internally overlapped and welded for crisp appearance, no light leakage. Standard flush steel door frame. Flush or regressed with die-formed steel hinges and rotary-act ion cam latches. Gasketed to prevent light leaks. Latching/hinging reversible; door frame easily removed without tools. Standard Lens is a pattern 12 acrylic. Wide selection of optional lenses and louvers. Knockouts provided on top of housing for individual surface mounting and convenient wiring. Optional stem or continuous row mounting available. For more information contact your local Sales Rep using our Sales Rep Locator.